<< Click here to view the recap of the kickoff show. Tinashe sings “America the Beautiful”. The greatest live event in entertainment. New Day heads to the ring dressed as characters from Final Fantasy. They’re honored to be the official hosts of Wrestlemania. Big E makes a joke about “pulling their levers.” Then they dance. For AJ Styles, his match with Shane McMahon is all about respect. This was a good way to start the show. It was neither man’s best match, but it was flashy, violent, and fast-paced. It worked to get the crowed pumped up and ready for what’s to come. Styles is one of (if not the) best in the industry, and Shane McMahon is good at performing exciting spots. He moves in a unique way and isn’t afraid to take stupid risks (which he did in this match, though not as stupid as the crazy match he had with Kurt Angle years ago at King of the Ring). The combination of those two performers made for an entertaining match. This was a pretty satisfying conclusion to a story that I wasn’t always 100% into. It makes sense though, and in the end I think it works. I just wanted to see Styles higher on the card. Maybe next year. Commercial time: James Ellsworth fails at working out. Ric Flair gives him a Snickers and he turns into Charlotte. Lilly Singh is in the crowd. The history between Owens and Jericho since The Festival of Friendship. Very good match. I loved the exchanges between these two guys and how they played off of each other. They traded holds, dives, counters, and pin attempts. Owens brought out some flashy moves like a swanton (!) and provided some hard-hitting moments. Both guys seemed pretty even the whole match which is good, and the ending was satisfying. It really had to end the way it did. Good stuff. Payback is coming on April 30th. A good match, but I guess I was hoping for more. I was entertained, even with Nia Jax’s role, but it felt too short. I think having three falls and four competitors broke it up too much and made it feel like three short matches rather than one big match. The falls didn’t feel like they were fought hard enough, though maybe my expectations were too high. Maybe on a repeated viewing (without those expectations) I’ll enjoy it more for what it is rather than what it could have been. A look at this year’s Hall of Fame ceremony. Greg Hamilton introduces the WWE Hall of Fame 2017: DDP, Ricky Morton & Robert Gibson (The Rock & Roll Express), the family of Rick Rude, Teddy Long, Eric LeGrand, Beth Phoenix, and Kurt Angle. Seth Rollins gets his knee taped up in preparation for his match with Triple H later. A fun match with lots of excitement, though I think everyone in the match was trying to go a little too fast, especially in the beginning. It felt somewhat rushed and chaotic at times, but it was still entertaining. The addition of The Hardy Boyz wasn’t entirely unexpected, but it was a fantastic moment. This was full of violence and fun spots, which is exactly what it needed to deliver. Realistically, adding them to the match was completely unfair, and considering the outcome of the match Anderson and Gallows have plenty to complain about. That will be a good feud. Should be. A commercial for WWE Network and some upcoming shows. Jimmy Fallon is in the crowd. Buildup for the mixed tag match. An okay match, but there wasn’t really a lot to it. Cena seemed unusually weak and prone to getting beat up, so The Miz spent the majority of the match beating him up. There was only one real momentum shift when Nikki slapped Miz, and that directly led to a quick and easy finish. This felt like a SmackDown match. Maybe a main event, but maybe not. Cena gets on the mic tells Nikki something he asked her while she was loopy on anesthesia before her surgery: he asked her to marry him. He asks again and gets a positive response, from the crowd and from Nikki. This moment was better than the match that preceded it. Buildup for the match between Rollins and Triple H.
Good match. I liked the constant focus on Rollins’ knee. Triple H kept attacking it with a solid game plan, and Rollins kept going to moves that he probably shouldn’t be doing with an injury. It made the injury have a huge impact on how the match played out, and I think it worked well. Despite some of the nice moves, this match just felt like a fight. I think that was a good way to go (and it was expected). It might have been a little long, but that could also have to do with show fatigue. At this point, with the kickoff show, we’re closing in on around five hours. Jojo welcomes Pitbull to the stage. He performs. With Flo Rida and LunchMoney Lewis. The path to the World Title match. This was an interesting match because it tried something different, but overall I felt it was only pretty good. After months and months of buildup (which more or less worked fairly well most of the time), I think this match should have been a little more competitive. It felt too short and like both guys should have kicked out of more pin attempts. The ending wasn’t terribly surprising, but it wasn’t completely satisfying for me either. Maybe it was too straightforward? I would have liked to see this one end in an unexpected way. It would have been a change for a mostly predictable night so far. I thought it was interesting how Wyatt kept messing with the lights and projecting gross images onto the ring canvas, but in the end the mind gamesmanship had almost no effect. Orton didn’t seem bothered, or even affected by it after the first time. I don’t know, there wasn’t anything wrong with the match. I just wish it stood out more. Buildup for the Lesnar/Goldberg match (which happens to be for the Universal Title). It was the best (and longest) encounter between these two, but that’s not necessarily saying a lot. Each guy performed two moves (repeatedly). Story-wise, I think this was good for what they’ve built up to, but it’s doubtful I’ll watch this match ever again except as part of a rewatch of the entire show. I liked the outcome of this though. This one was fast-paced, but I never felt like it settled into a good rhythm. It was fine for what it was, but it could have been a SmackDown main event and have been just as effective. Being at Wrestlemania and almost at the end of the show, it should have been more. I think this was another match that would have been better with fewer people in it. As it is, it quickly became one of those multi-person matches where people pair off, having only two in the ring at any given time so one can deliver a big move then leave so someone else can do the same. Still, I’m happy with the ending. Well-deserved. New Day comes out and announces tonight’s attendance: 75,245. Buildup for The Undertaker versus Roman Reigns. As a match, this was pretty good. It made sense and the story in the ring was fine. It got a little messy at times (such as when Reigns couldn’t get Undertaker up for a tombstone) and you could see some altered calls during the match. And maybe I’m jaded or just used to Undertaker matches at this point, but none of the near-falls were surprising here. Towards the latter part of the match though, it felt like a one-way beating. The ending felt like an eventuality. It wasn’t a back-and-forth battle of wills like we’re used to in Undertaker matches. The victory in this one didn’t feel super-special. Historically, this match is a big deal, and for that I enjoyed it. It deserved to be the last match of the night if for no other reason than it is likely Undertaker’s last time competing in the ring. Is it ironic that the show felt really long, but I felt some of the matches were too short? Not all of them, obviously, but the pacing of the show felt uneven in many ways. The seven-hour duration (with the kickoff show) didn’t help. I would have liked to have seen more effort put into presenting more of an all-around show with (short) backstage segments. It would help to maintain interest by breaking up the hours and hours of in-ring action with a little variety. 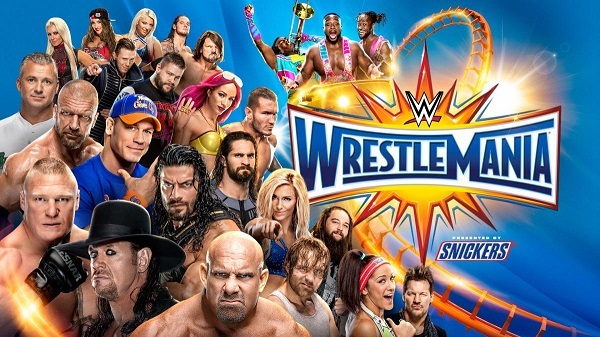 It would be a chance to feature more guests and former wrestlers, and it would help to remind people of the ongoing storylines without resorting to the video packages we’ve already seen so many times. Even utilizing New Day more would have helped. They were barely on the show even though they were supposed to be the hosts. I think Wrestlemania really is a show that you have to watch live with friends. It should be a shared experience, because watching seven hours can be a chore without someone to share it with. I watched the show in two segments, and even then I found my attention wandering towards the end. That said, I did enjoy the show for what it was. It wasn’t the best Wrestlemania, but it wasn’t the worst either. There were some very fun moments, but there were also a fair number of matches that left me less than satisfied in the end. The good matches were highly enjoyable though, and I think a repeated viewing of those matches by themselves might have me liking them even more. As far as the results go, there was nothing here that wasn’t expected. Even the Hardy Boyz showing up wasn’t a huge surprise (though it was a lot of fun). With the way the last match ended though, I just left Wrestlemania feeling tired and sad. I’m not sure if that’s what they were going for, but that’s what came across. They had great chemistry, the match felt like it was just the right length, and the storyline building up to this match came through in the in-ring action. It was the most put-together and solid match of the night in my eyes.